A cascading utilization of resources is encouraged especially by legislative bodies. However, only few consecutive assessments of the environmental impacts of cascading are available. This study provides answers to the following questions for using recovered wood as a secondary resource: (1) Does cascading decrease impacts on the environment compared to the use of primary wood resources? 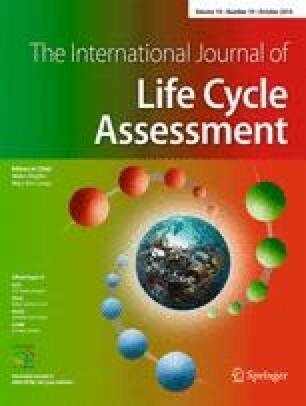 (2) What aspects of the cascading system are decisive for the life cycle assessment (LCA) results? We conducted full LCAs for cascading utilization options of waste wood and compared the results to functionally equivalent products from primary wood, thereby focusing on the direct effects cascading has on the environmental impacts of the systems. In order to compare waste wood cascading to the use of primary wood with LCA, a functional equivalence of the systems has to be achieved. We applied a system expansion approach, considering different options for providing the additionally needed energy for the cascading system. We found that the cascading systems create fewer environmental impacts than the primary wood systems, if system expansion is based on wood energy. The most noticeable advantages were detected for the impact categories of land transformation and occupation and the demand of primary energy from renewable sources. The results of the sensitivity analyses indicate that the advantage of the cascading system is robust against the majority of considered factors. Efficiency and the method of incineration at the end of life do influence the results. To maximize the benefits and minimize the associated environmental impacts, cascading proves to be a preferable option of utilizing untreated waste wood. The authors gratefully acknowledge the funding by the Bavarian State Ministry of Food, Agriculture and Forestry. The authors wish to thank Nathaniel Smith for language correction and the three reviewers for valuable comments on a previous version of this work.